Finally going to introduce myself! Sorry it's taken so long, but I'm finally going to introduce myself. 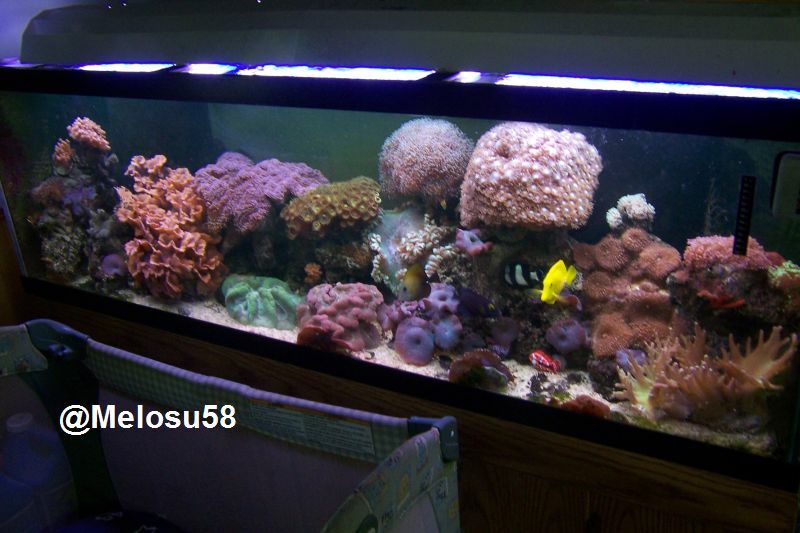 My name is John at the moment I have 3 aquariums. The bug didn't bite me I ate the bug. I have a 30 gallon a 55 gallon and a 90 gallon. I have a bluegill named Sally, four crawfish one named Red, a handful of minnows, 3 dalmation mollies, and a goldfish I won at the fair named pong. I have been wanting to get an aquarium for a while and my friend gave me a 30 gallon. I started that with sally and pong. Dont start yelling yet i know its too small let me finish. I found a 55 with stand real cheap on cl. Then shortly thereafter I found the 90 cheap also. As I was picking up the 90 the person I was buying it from told me he had a setup 75 for sale. Of course I bought it also, told the friend that I had it and would sell it to him for what I paid for it. He had been looking for one also. I then caught a 9 in northern and put him in the 90 was doing good till he decided to jump out where the filter flows into the tank. Sad day when I came home. I plan on getting rams after I study up on them and make a tank for them. I have plenty of room for fish I also would like to try planting the tank before the rams are introduced. I could go on longer but if you want to know more just ask.